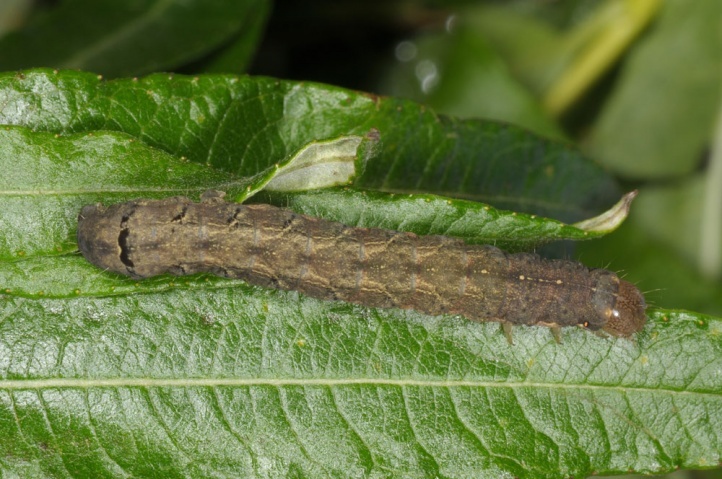 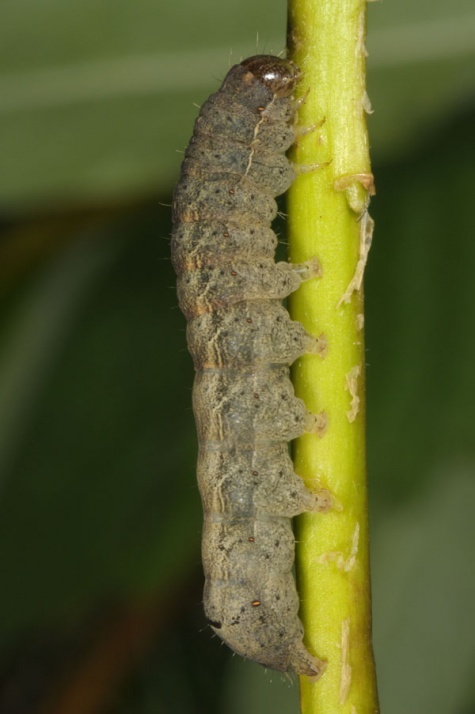 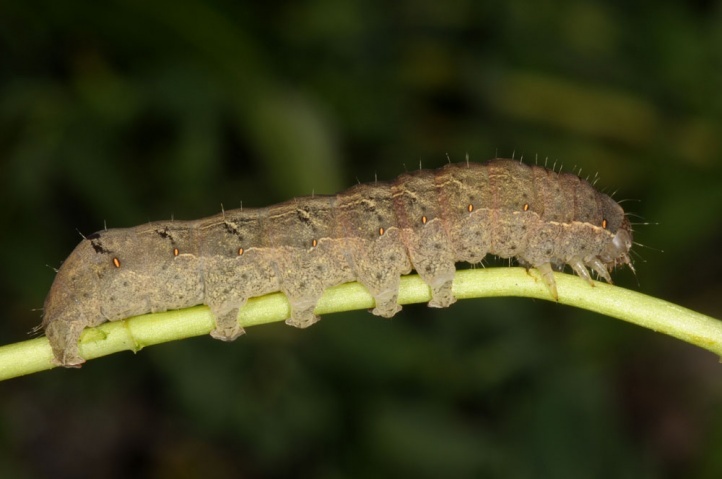 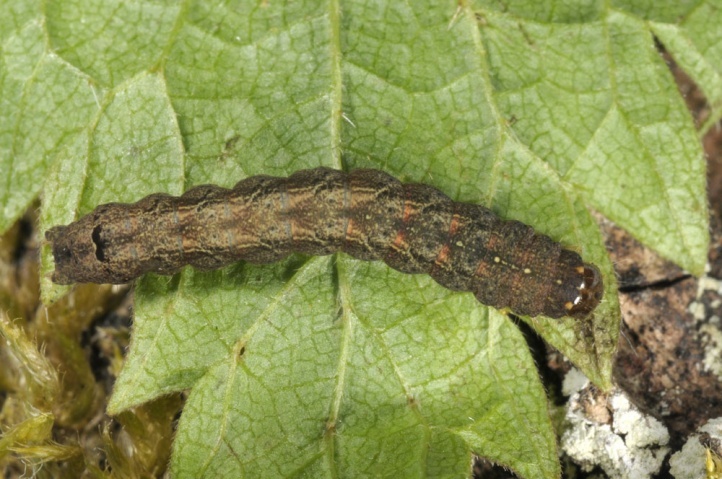 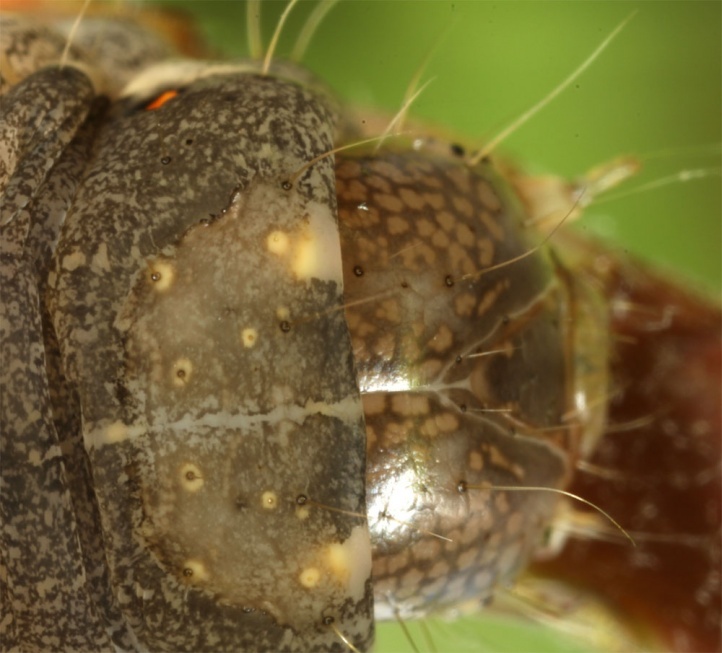 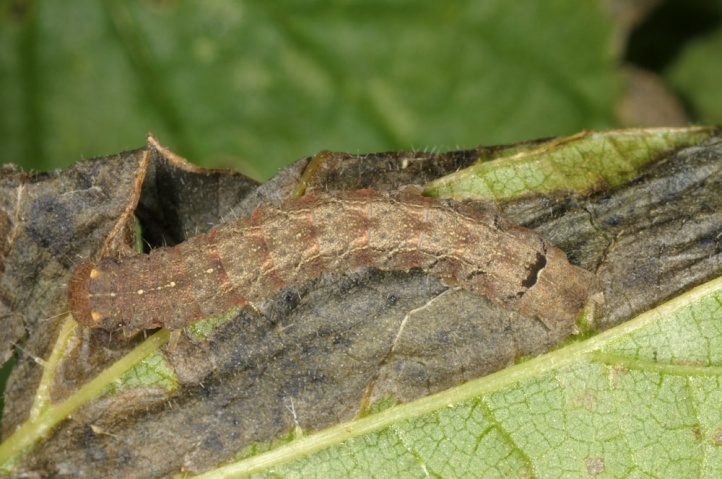 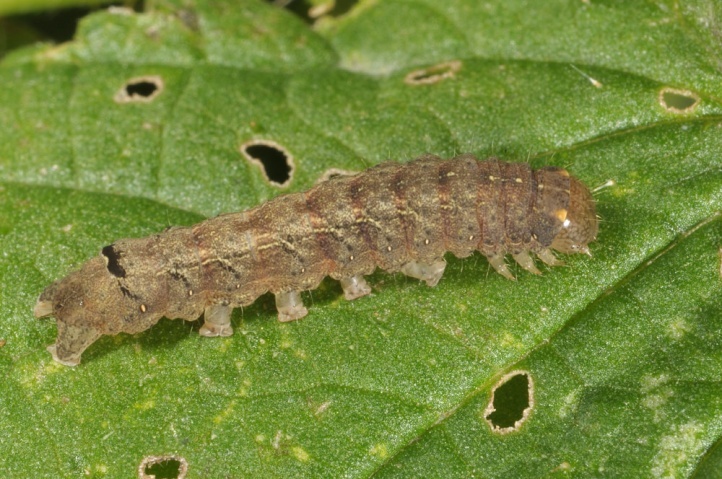 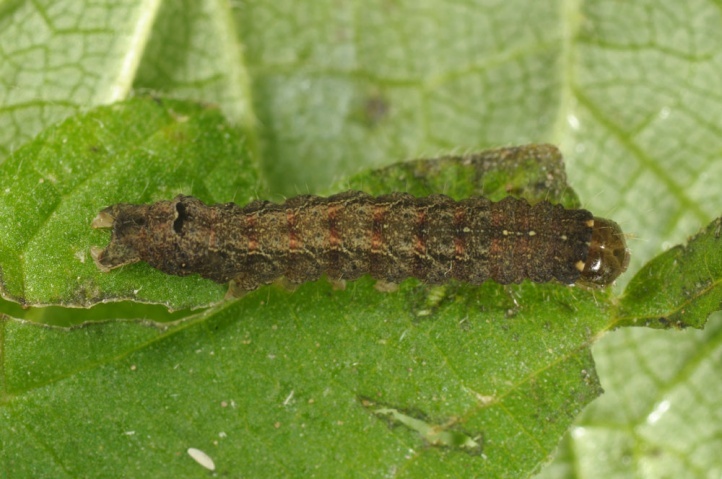 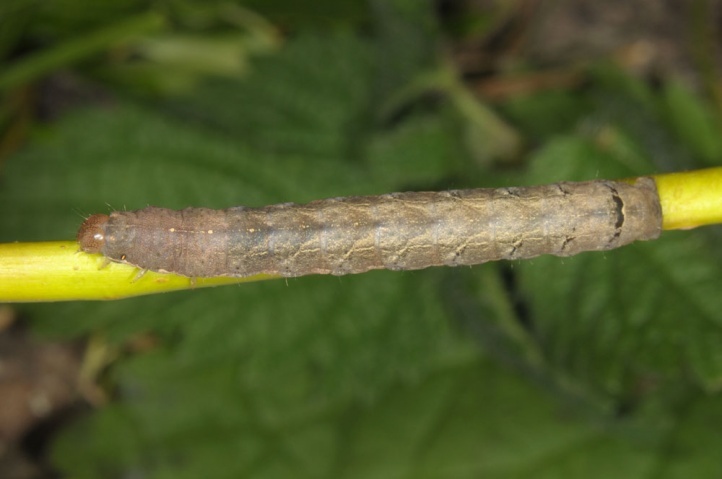 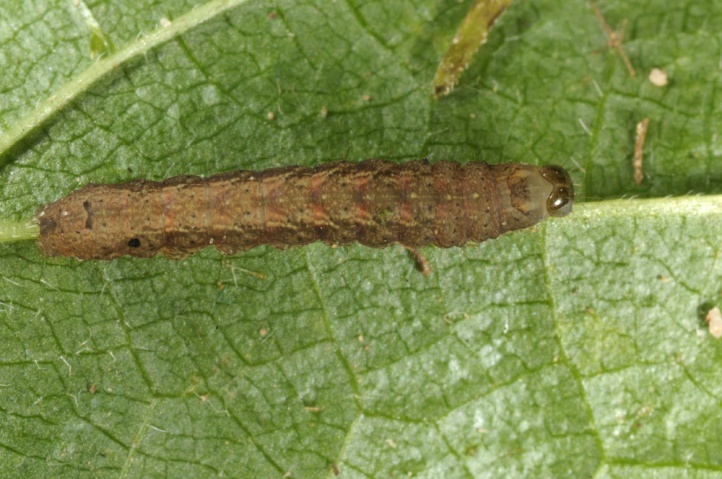 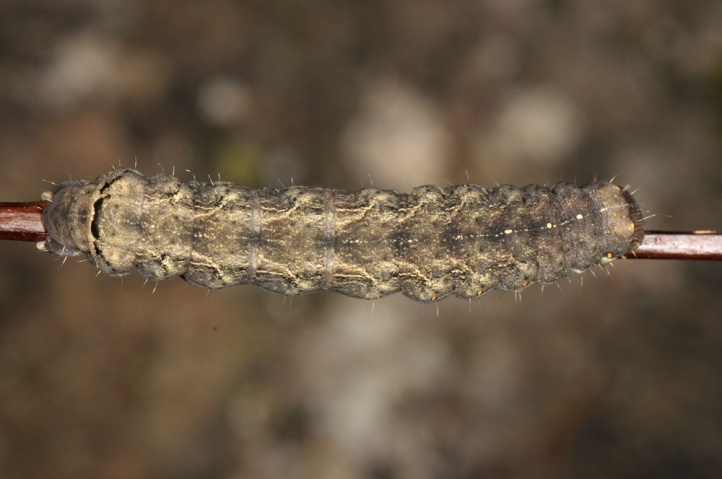 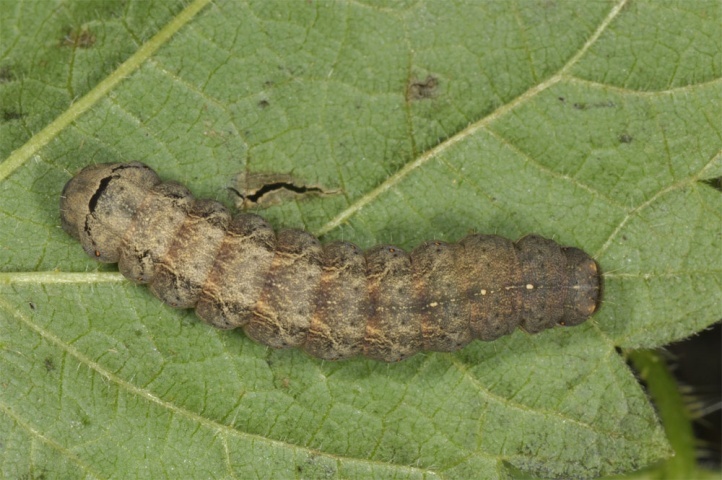 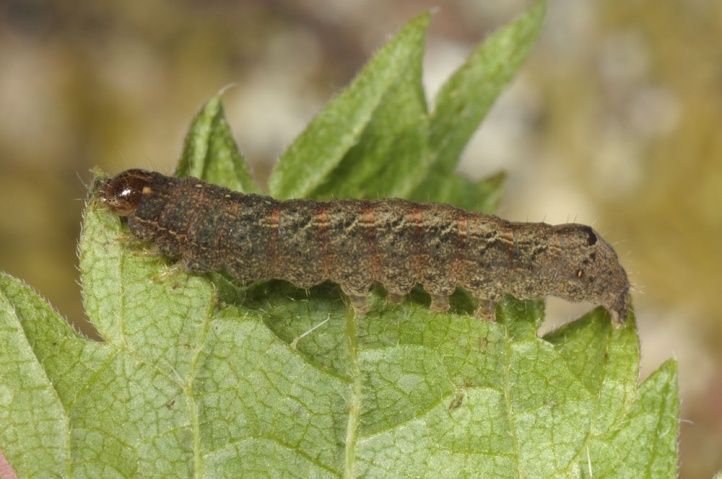 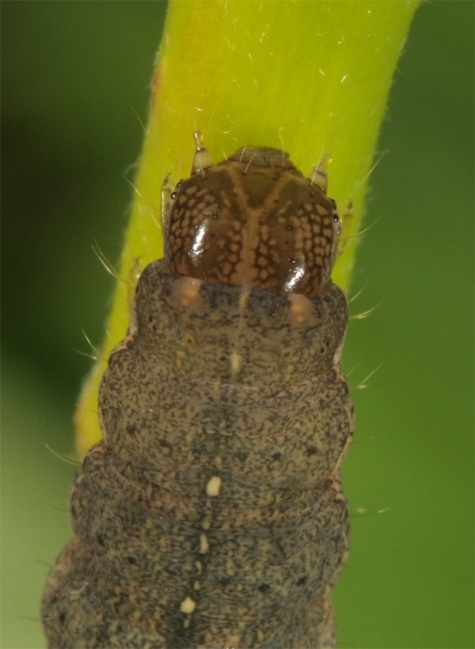 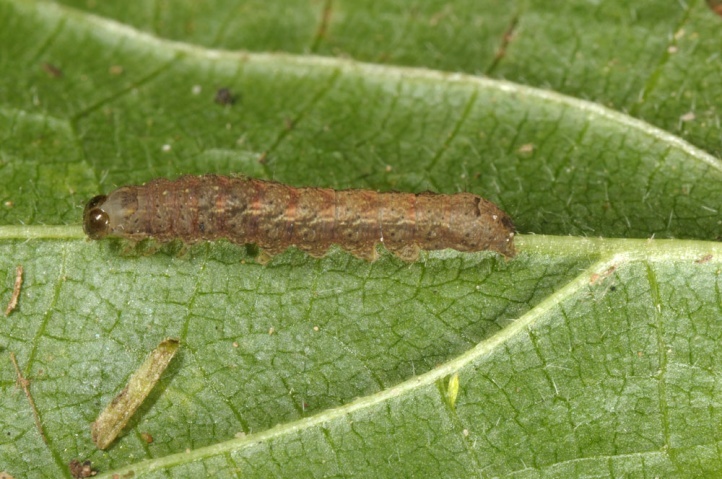 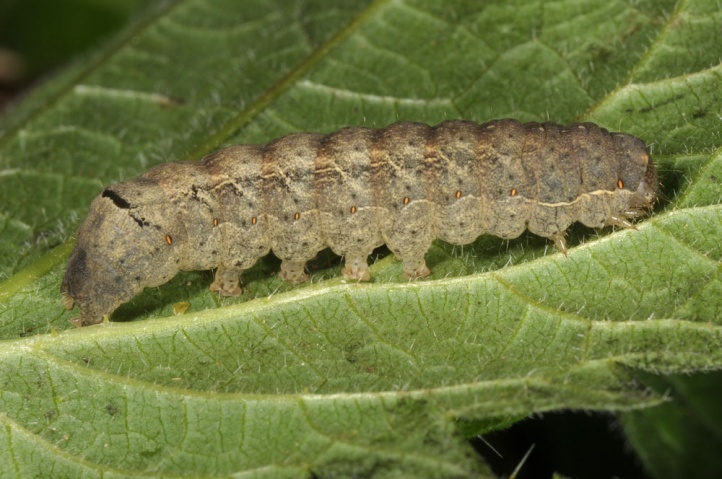 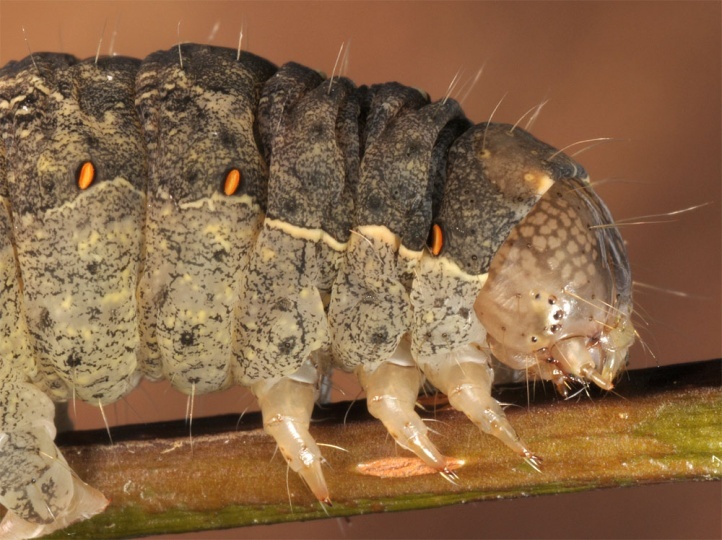 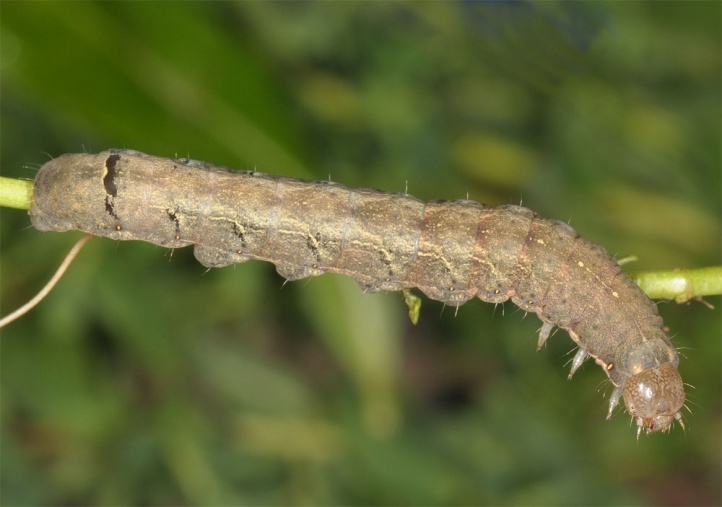 The caterpillar lives polyphagous in the herb layer of shorelines (Urtica dioica, Rumex, etc.). 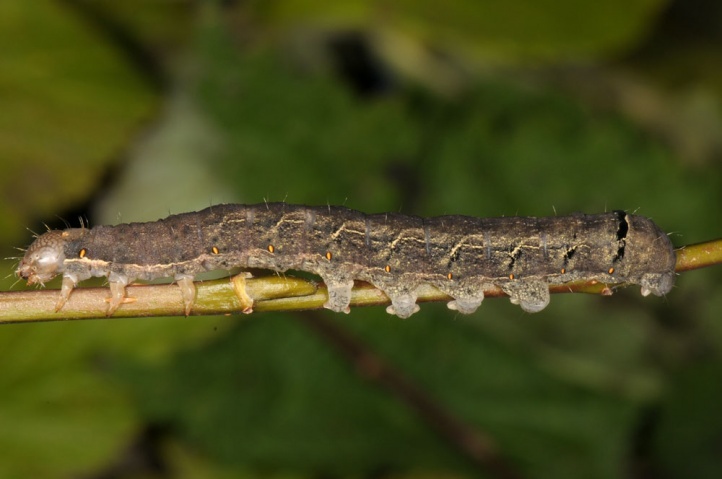 Especially after the winter they also like to feed on sprouting deciduous woods (Salix, Alnus, Fraxinus, Acer, Populus, Viburnum, etc.). 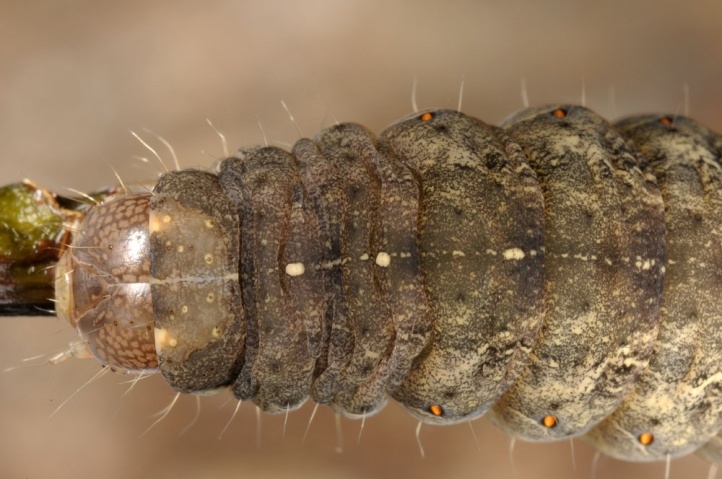 Mormo maura is a typical inhabitant of the waters accompanying vegetation along streams, rivers and stagnant water (ponds, lakes) in warmer, low altitudes (especially below 650m above sea level), as long as they have a woody gallery at least locally. 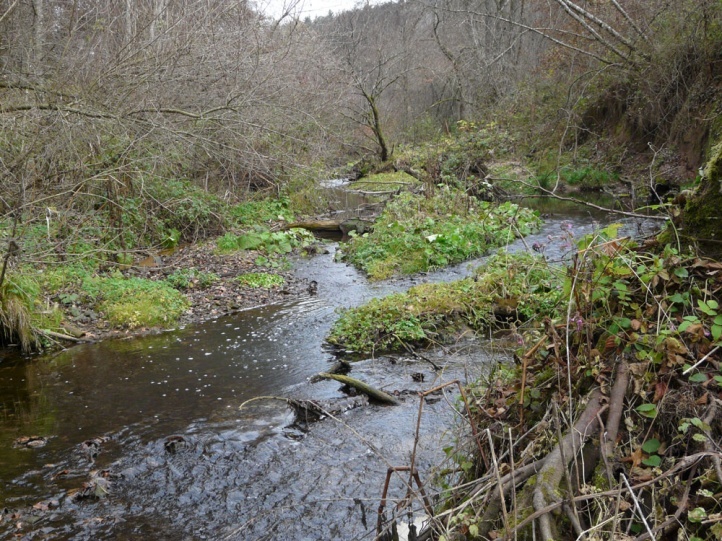 Mormo maura also copes with narrow strips along streams in the cultural landscape. 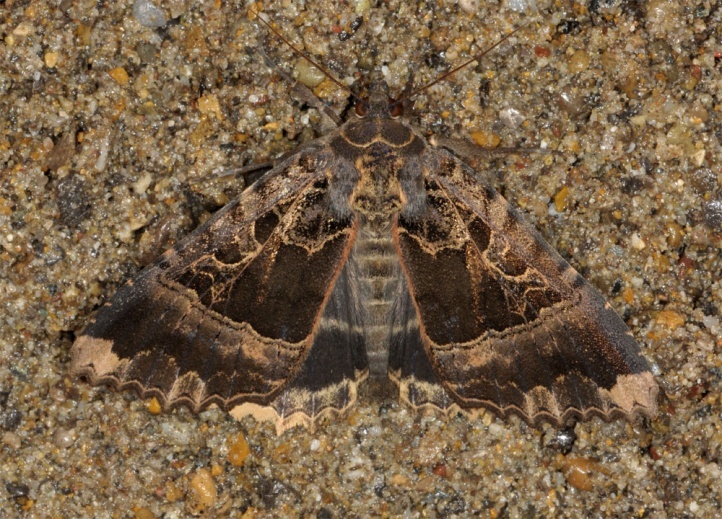 Typical among the companions are for example Naenia typica, some Xestia as Xestia baja, X. ditrapezium, X. triangulum and X. rhomboidea and Graphiphora augur. 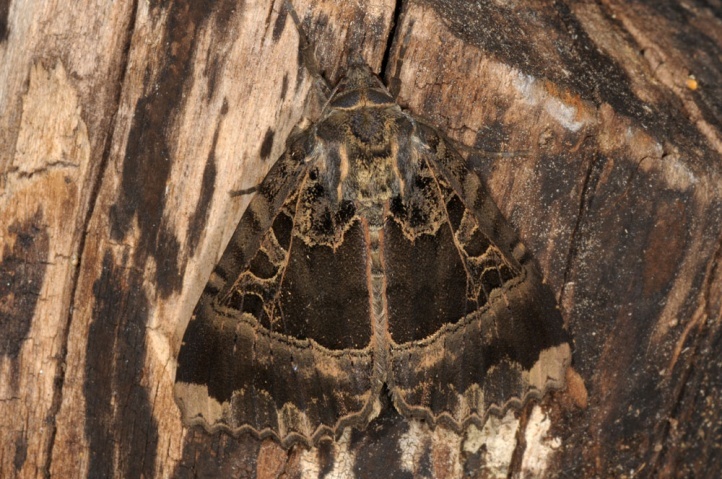 Arctia caja is also often encountered in such places. 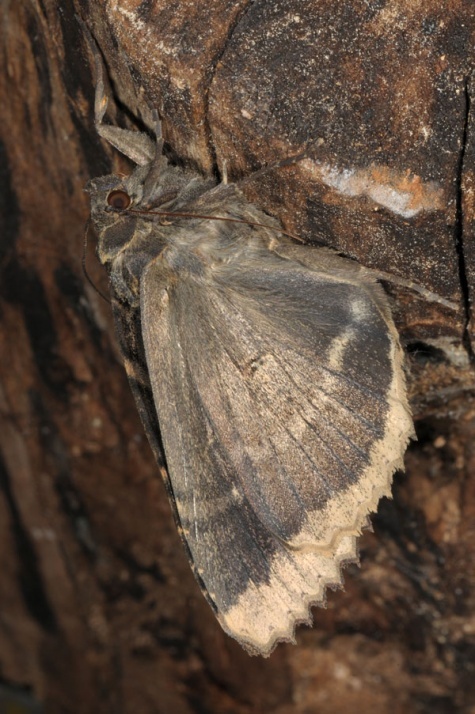 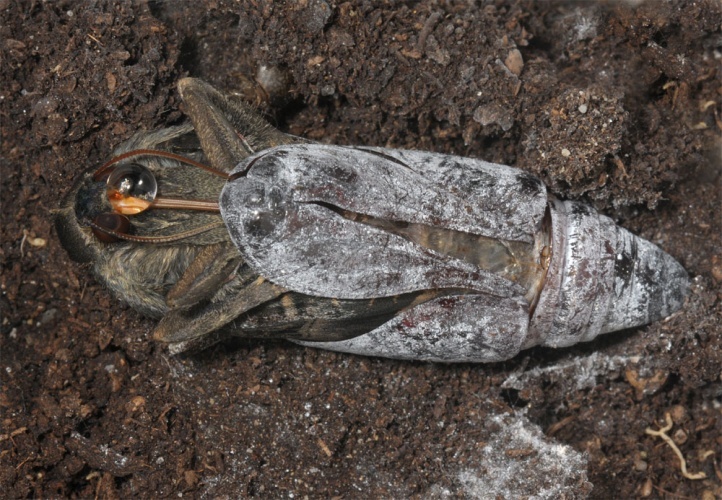 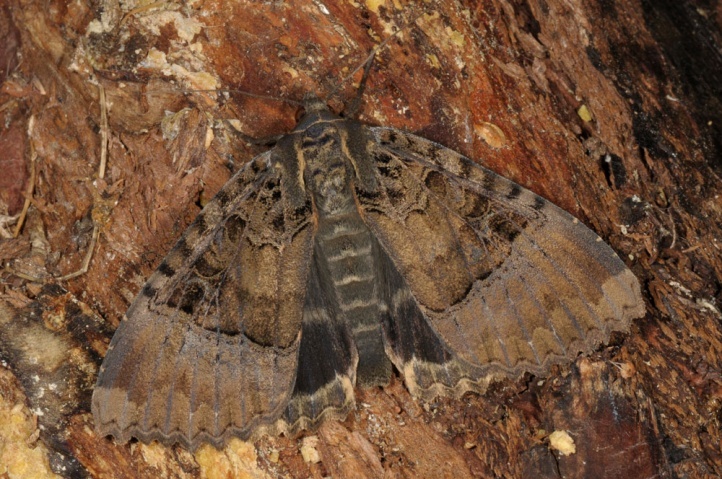 The moths fly from late June to early October in a single generation, with peak in August. 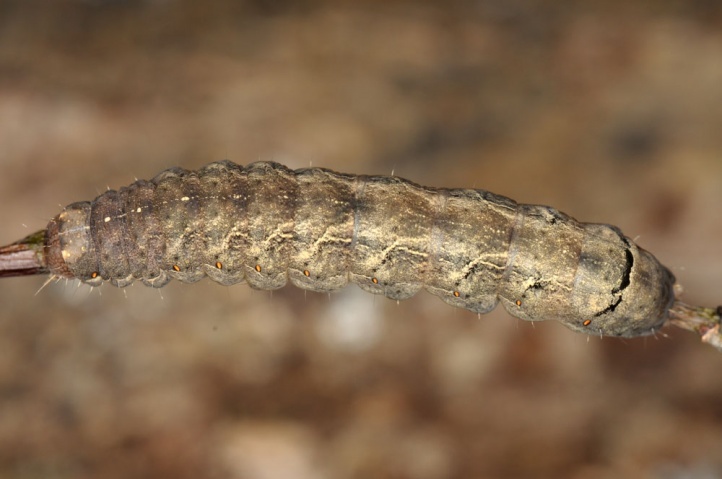 They also keep themselves in the immediate vicinity of waters. 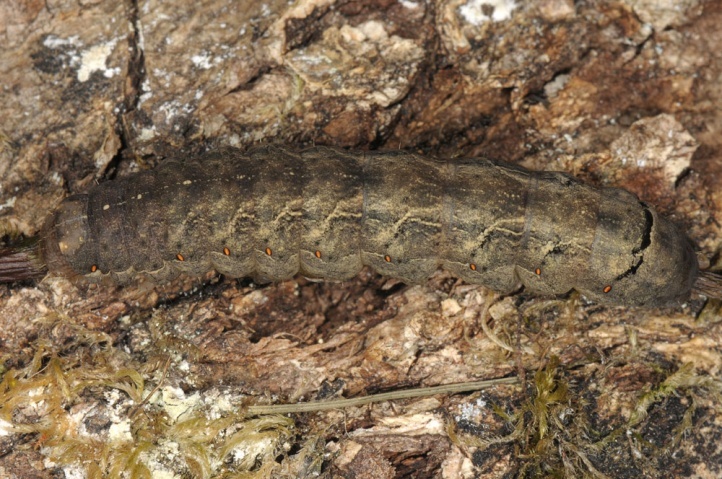 The caterpillars develop relatively late in the autumn. 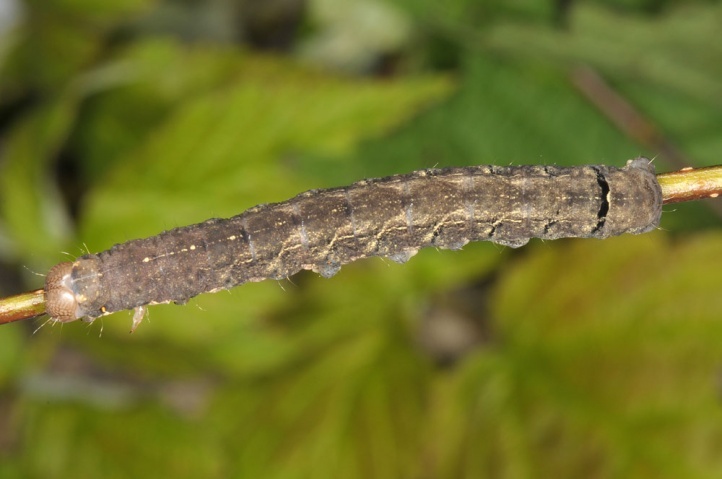 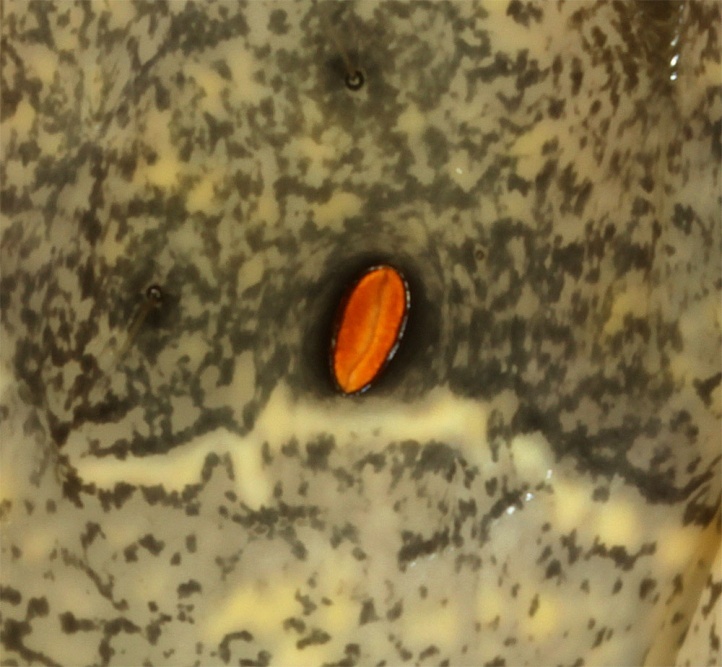 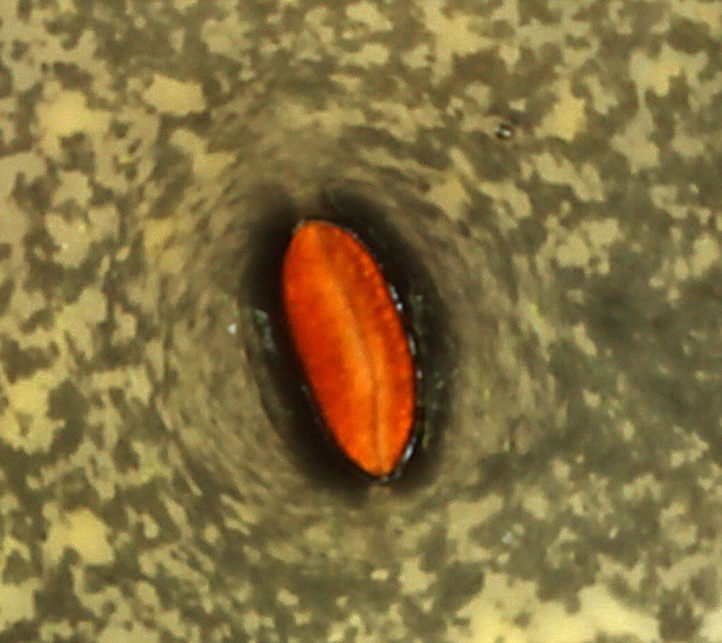 So I found an L2 larva close to the ground directly in a Urtica-fringe on the banks of a small stream near Schwäbisch Gmünd on 30 October 2011 and a week later at another creek section an L3 caterpillar. 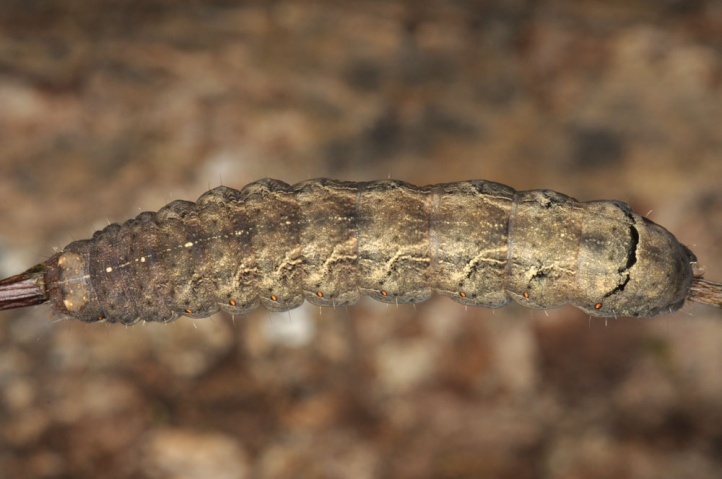 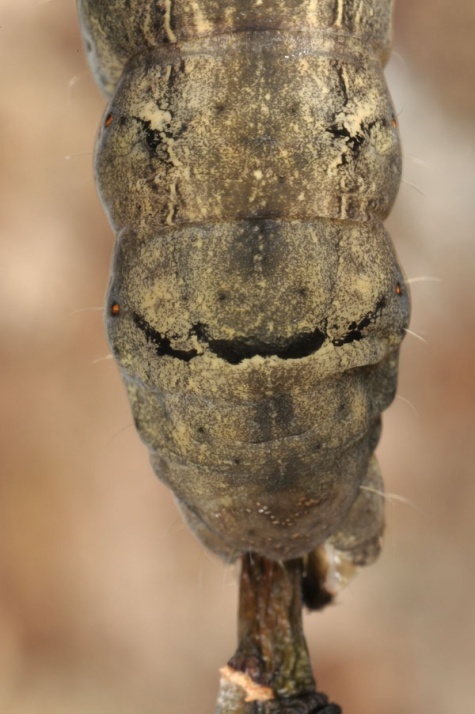 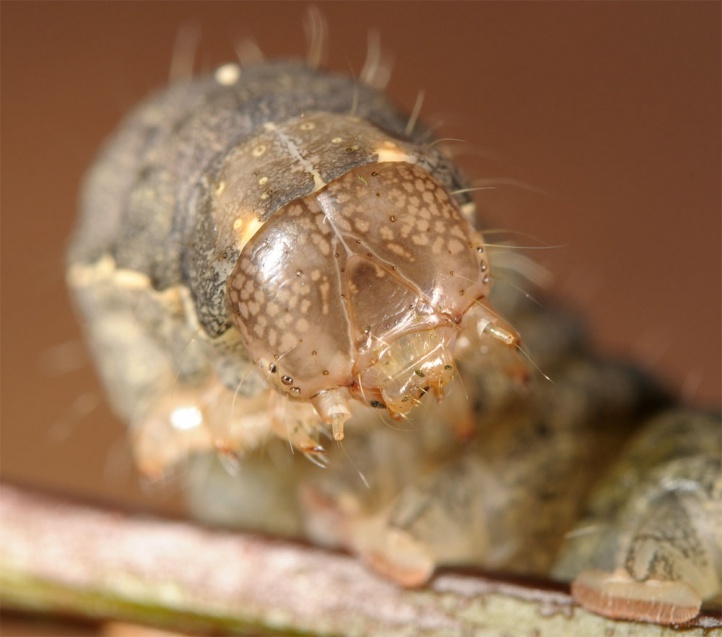 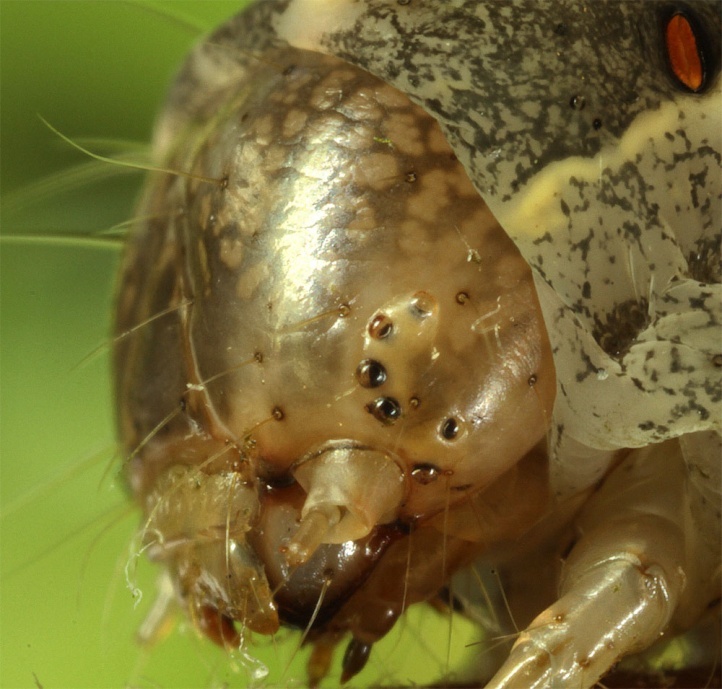 The larva does not seem to hold true hibernation, but feed at least in the late autumn (as L2 and L3) as long as temperatures permit. 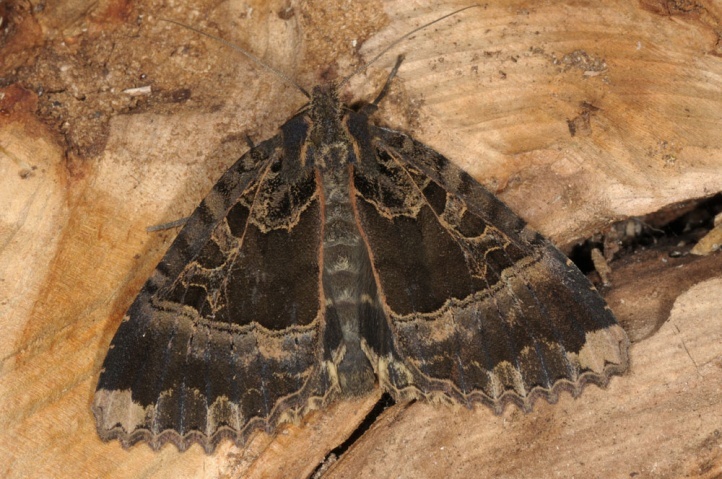 The main growth is, however, only in the spring from March to May. 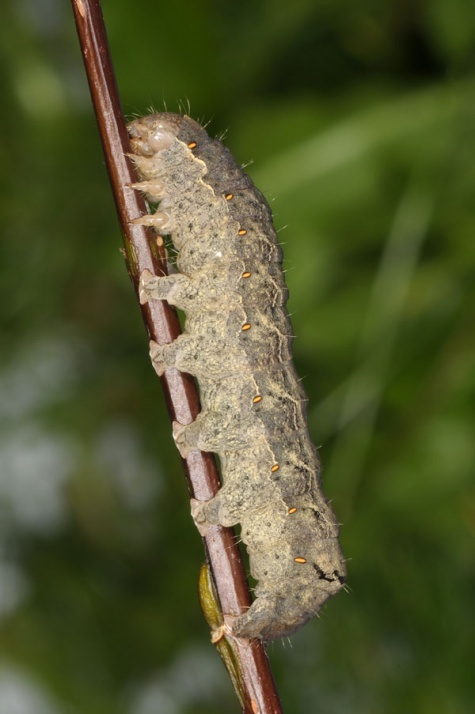 The caterpillars are at least then purely nocturnal and hide during the day photophob under bark or in the litter. 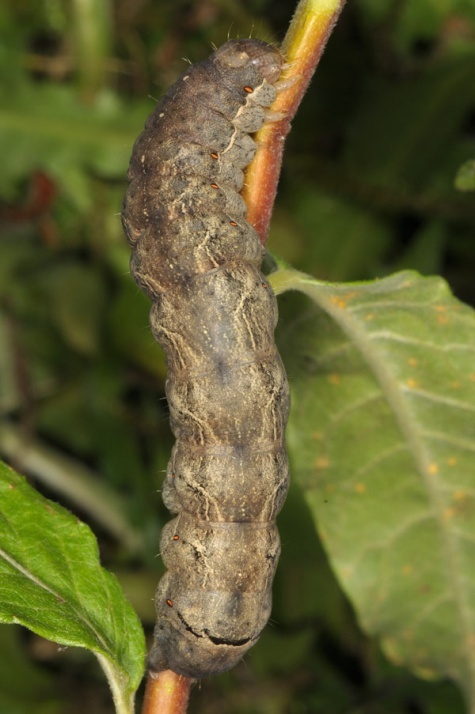 At night you can find the caterpillars also meters high on sprouting shrubs near the water. 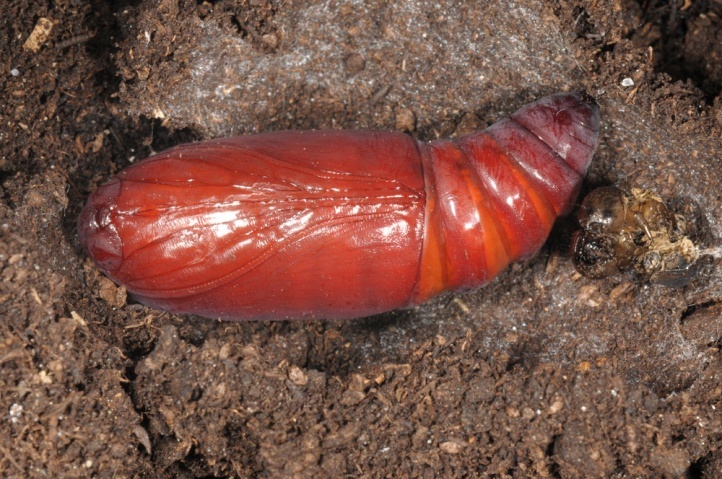 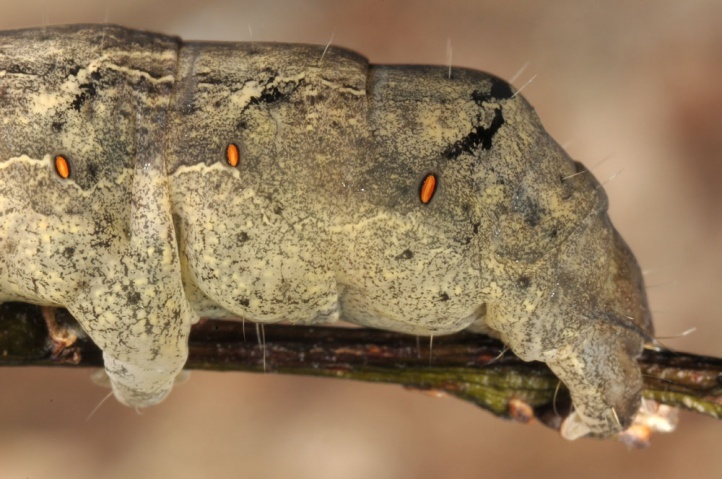 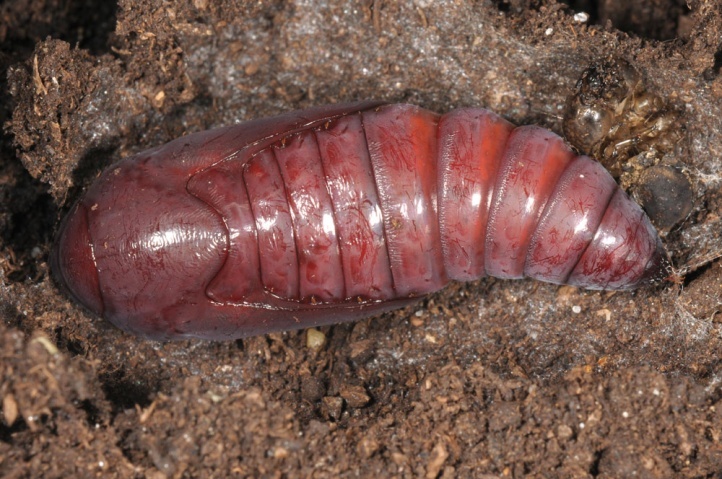 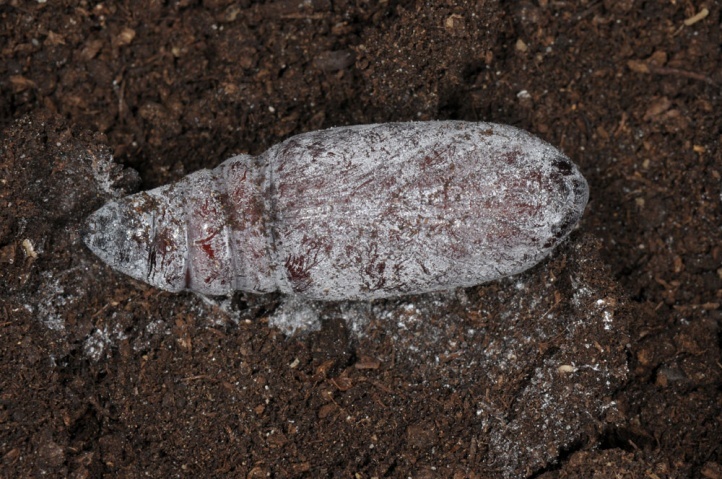 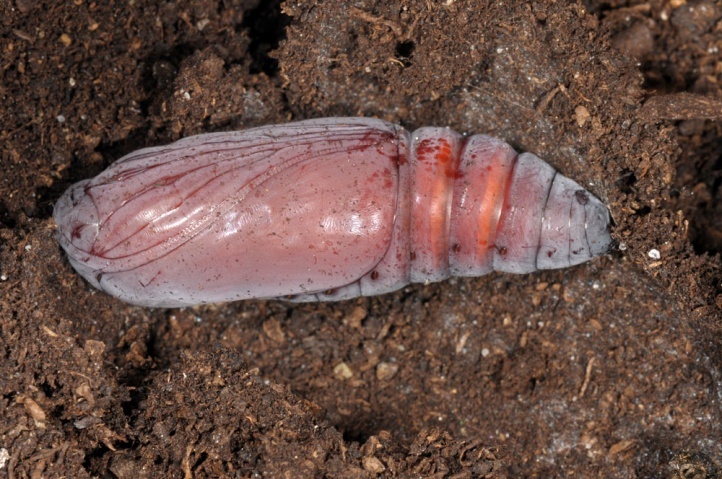 The L6-caterpillar pupates in May or early June in a cocoon on the ground or in the shoreline litter. 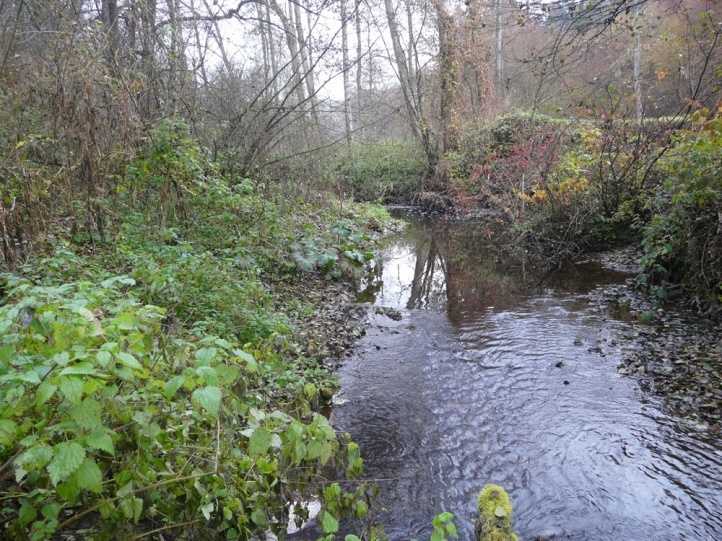 Mormo maura has lost in recent decades massively habitats through the almost unimaginable changes in natural waters by human activities of all kinds (stream canalization, concreting, piping, destruction of shoreline and riparian forests, extreme eutrophication, urban sprawl, traffic routes). 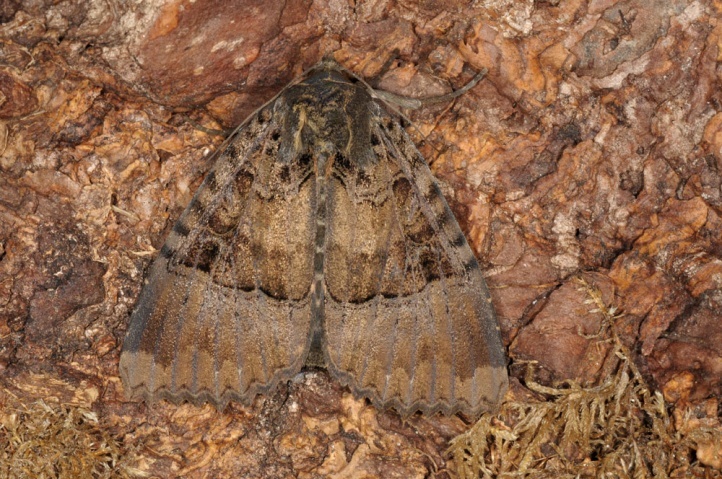 Nevertheless, Mormo maura is especially in the lowlands still fairly widespread thanks to its ability to cope with mild to moderate eutrophic and rather small-scale habitats. 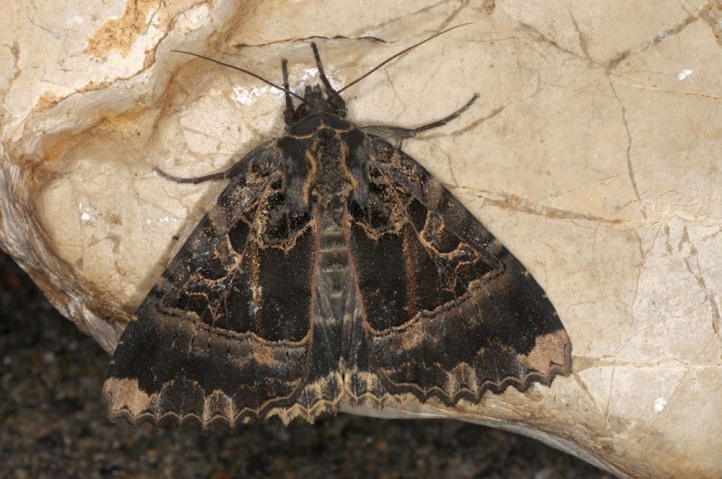 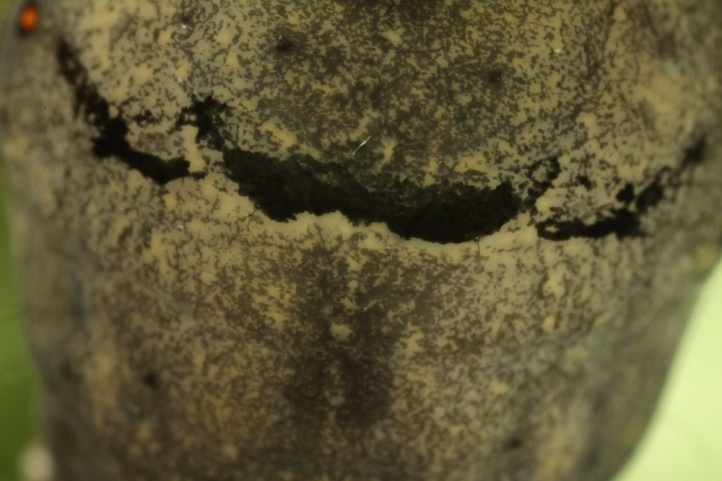 Mormo maura is distributed from Northwest Africa across Southern and Central Europe (north to the north of the British Isles and northern Germany) and parts of Western Asia (Asia Minor, Middle East).